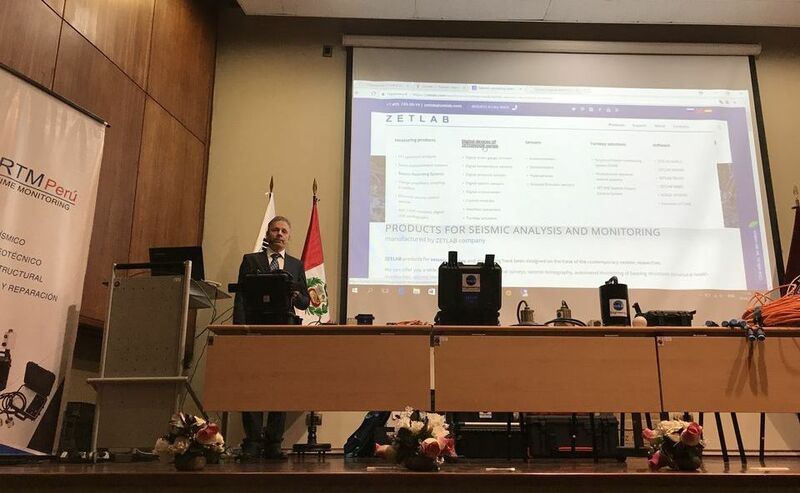 On September 29-30, 2017, specialist of ZETLAB Company have successfully conducted a seminar on “Geotechnical, structural and seismic monitoring” in the premises of Continental University in Lima, Peru. digital sensors of ZETSENSOR series. There has been performed a comparison of ZETLAB products with analogs from other manufacturers. 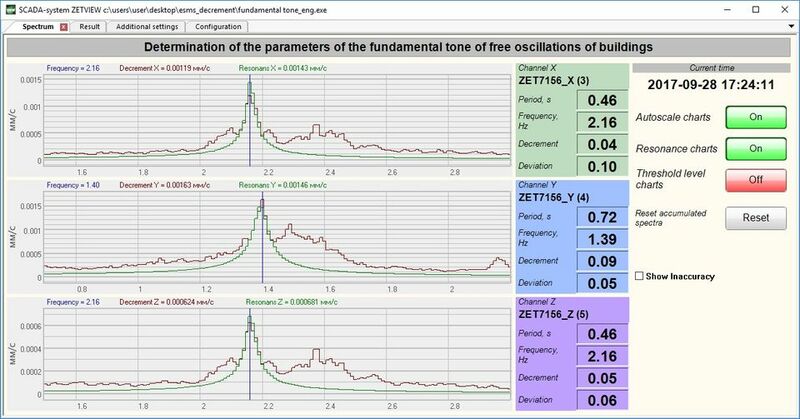 Among major advantages of ZETLAB products, one should mention the fast implementation of primary transducers (e.g. digital geophones ZET 7155, etc.) 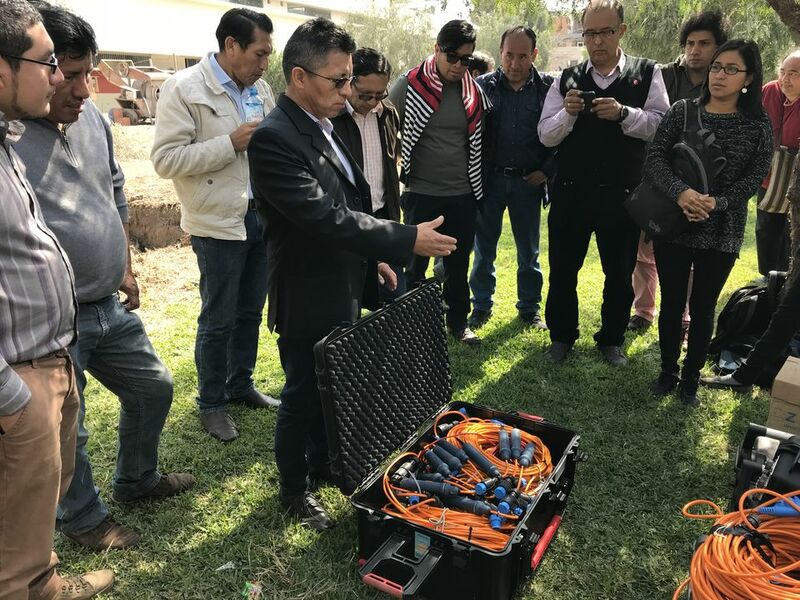 as well as the development of measuring lines based on CAN 2.0 interface, which allows to considerably reduce the weight of cable lines and to increase interference protection. 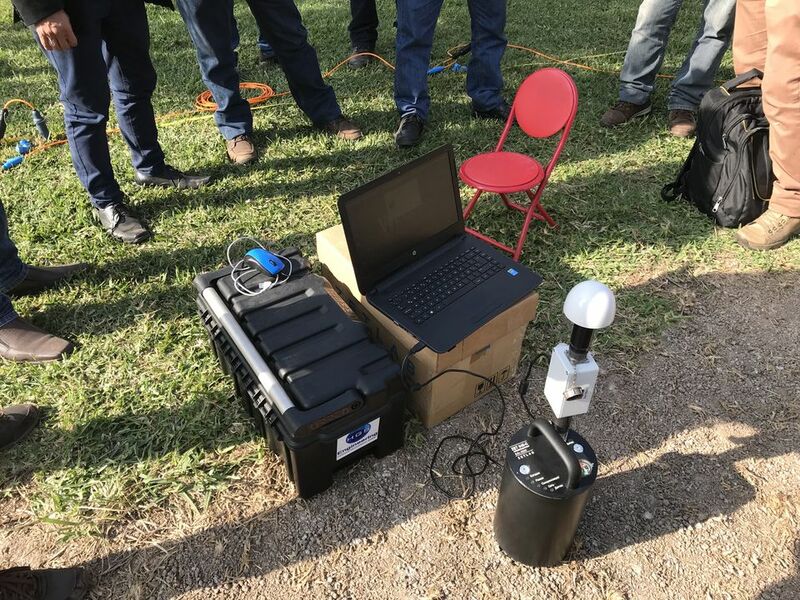 We have made a review of our products range relating to seismic monitoring and building bearing capacity control. 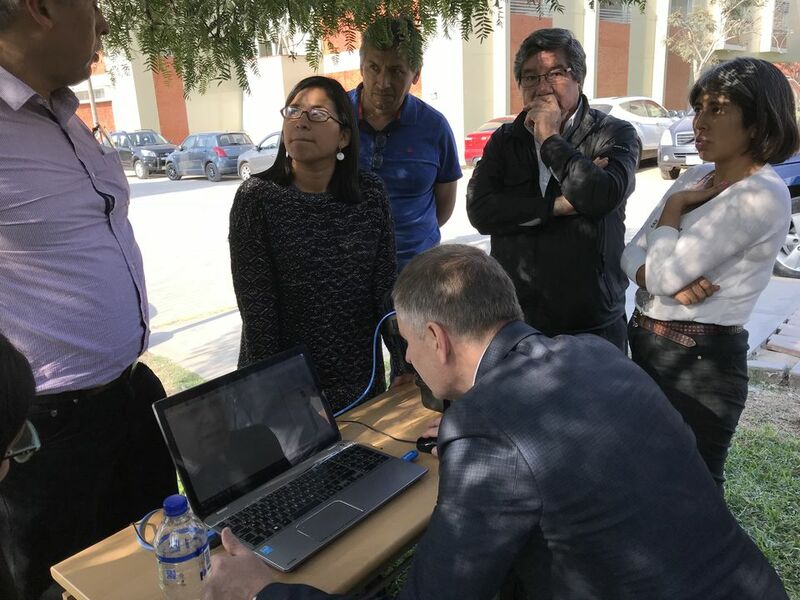 Besides, specialists of ZETLAB Company have addressed the issue of establishing both stationary and portable monitoring systems. 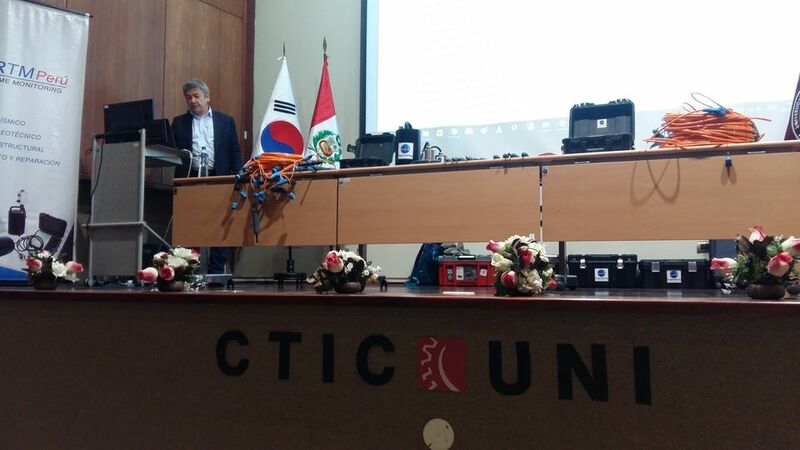 Our lecture also encompassed the issue of establishing CAN and RS-485 digital lines and their possible implementation both in stationary and portable systems as well as various limitations in terms of monitoring tasks. Our specialists have illustrated various aspects of ZETLAB and ZETVIEW software package, its composition, operating principles and practical implementation. 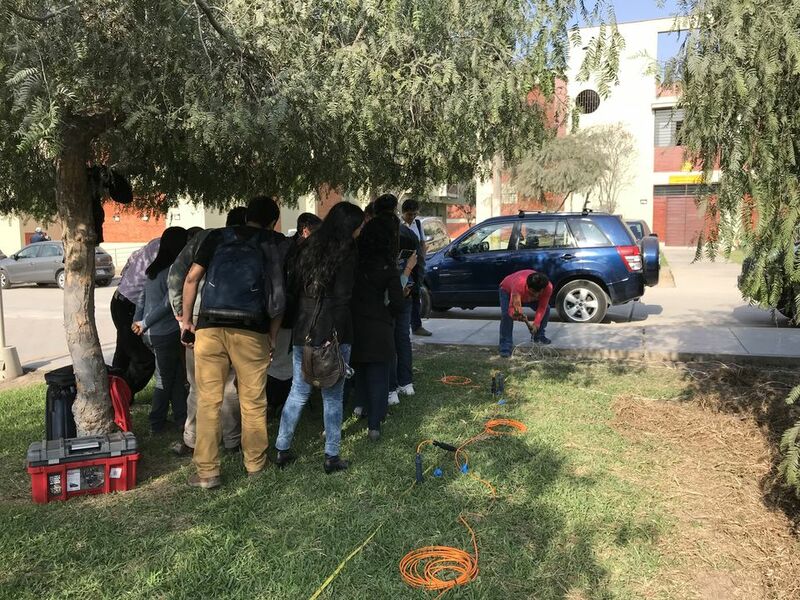 At the preparation stage prior to the conference, we have demonstrated the process of natural oscillation and logarithmic decrement measurements in the first modes of oscillations at the example of IBIS hotel building vertical axes. 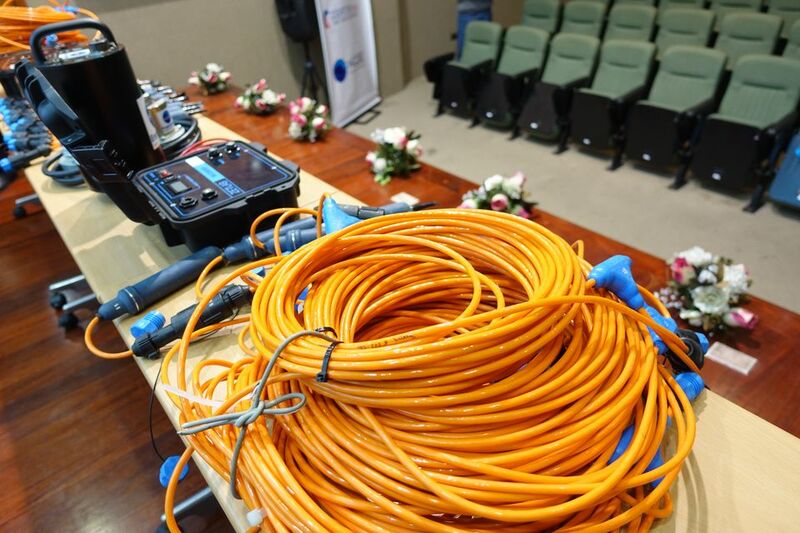 On the second day of the conference, there has been performed an on-site presentation of the kit for seismic research performance operation in the common area of the university. Four shock impacts have been registered by 24 sensors arranged at the distance of 2 meters from each other. The recorded signals data has been registered and converted into Seg-Y file. 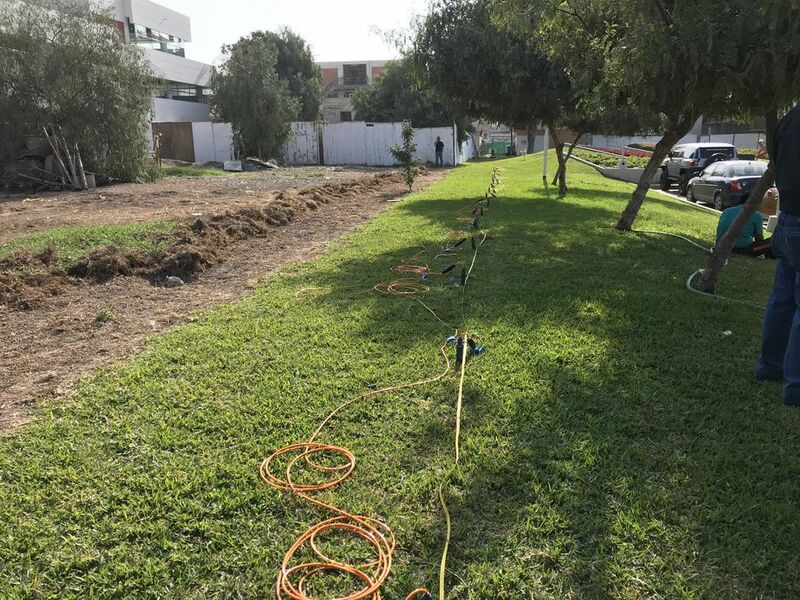 In addition to that, we have also drawn special attention to the process of structures natural oscillations control using digital seismic transducers and on-site operation of ZET 048-C seismic recorders.